You can deploy VoIP on a wireless local area network (LAN) if you have one or if you plan to set one up for communication, just like you can on a wired LAN. Wireless connections are increasingly popular and have replaced many wired networks, particularly in residences. 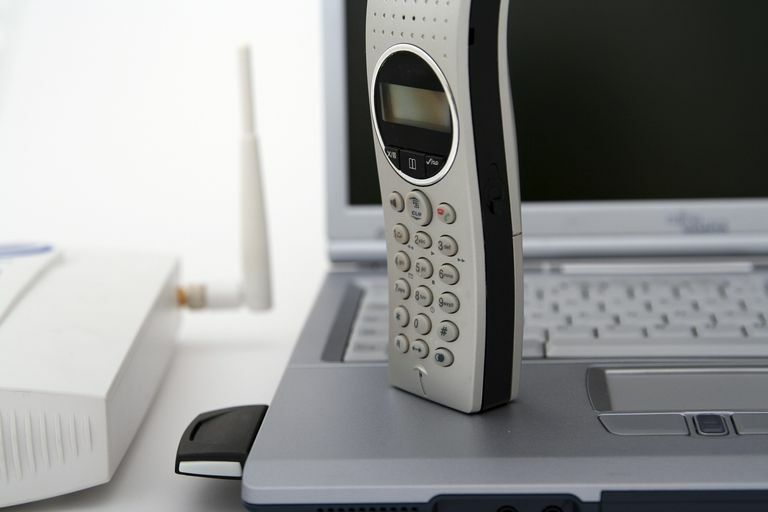 As a result of this trend, more wireless networks are being used for VoIP communication. Until relatively recently, LANs have been wired with RJ-45 jacks on an Ethernet network, but with the advent of Wi-Fi and the steadily increasing speed it offers, network administrators are leaning more toward wireless connection for their internal LANs. In most cases, instead of a hub with wires that run to the different machines in a wired network, you have a wireless router that connects to the machines wireless. The caller, who may be using an IP phone or any other communicating device, such as a PDA or smartphone, can make calls through the wireless LAN whenever the device is within range of the wireless network. This is particularly handy for smartphone users who cannot receive a cellular signal. A medical team in a clinic needs to be able to communicate internally and externally while attending to emergencies, which implies being on the move. VoIP on a wireless LAN makes this possible for each responder who has a smartphone. A factory floor team finds it difficult to either remain glued to a fixed phone set or going to and from one for communication. Here again, VoIP service deployed on a wireless LAN within the company premises saves time, energy and nerves, while boosting productivity. VoIP at Wi-Fi hotspots is incredibly convenient. Just like you take your laptop computer along with you for a business lunch or a study group with classmates, you can take an IP phone or your smartphone along. Interesting, isn’t it? Well, wireless VoIP has taken time to gain popular acceptance. Here's why. VoIP on LANs is deployed mostly in corporate environments—in companies rather than houses. Wireless VoIP poses problems of scalability for enterprises. As is the case with nearly all wireless networks, the quality of service is not as good as with wired networks, although that is rapidly improving. The cost of setting up and maintaining a wireless network, in terms of money, time, and skills, is higher than to set up and maintain a wired network. The security threats posed by the use of VoIP are even more inherent over a wireless network because access points are more numerous within the perimeter of the network.